MomoCon's cosplayers were decked out in some of the best gaming duds we've ever seen, and at least one costume was definitely against the law. MomoCon has always been a Mecca for anime lovers, but over the last few years, the convention has been attracting another group of costume-loving nerds: gamers. So these days no MomoCon Gallery can be complete without a few shots of the con's gamer-made costumes. Just a warning, though: some of these costumes may be confusing and/or disturbing, so it's important for you to keep an open mind. For instance, if you hate the idea of a My Little Pony/Fallout mashup or an illegal Mortal Kombat getup, this gallery will be difficult. But if those things sound awesome, you're in for a treat. 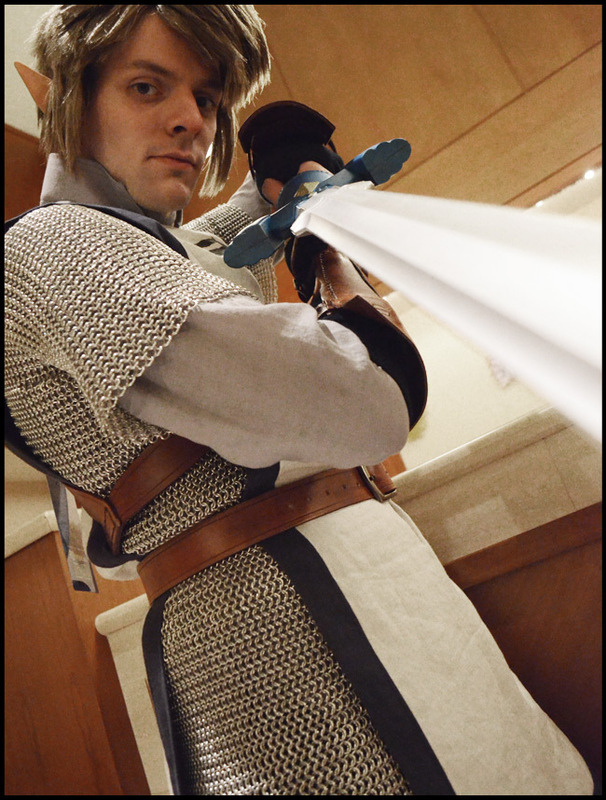 It's not uncommon to see Link wandering around a cosplay-centric convention, but Matt Dodson isn't your average Link. He spent the last year handcrafting his costume's chainmail, and one of his friends (a fellow named "GP Funk") designed the leather elements. If you like Matt's work, you should probably check out his Facebook page.